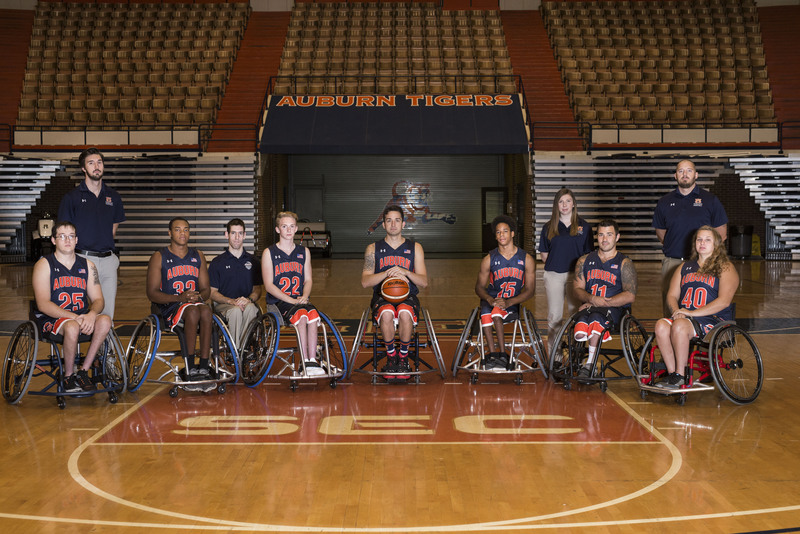 Click here to help support Auburn Wheelchair Basketball with a tax-deductible contribution. 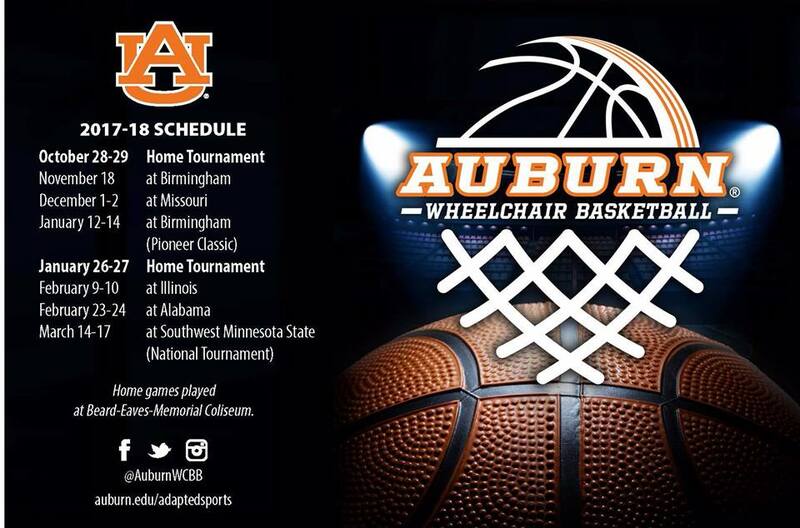 Auburn Wheelchair Basketball Camp will take place in Historic Beard-Eaves-Memorial Coliseum Saturday and Sunday June 23rd and 24th. Cost of camp is $50 and does not include housing. Registration is currently closed for this summer's camp. If you missed out this year, we hope to see you next summer! 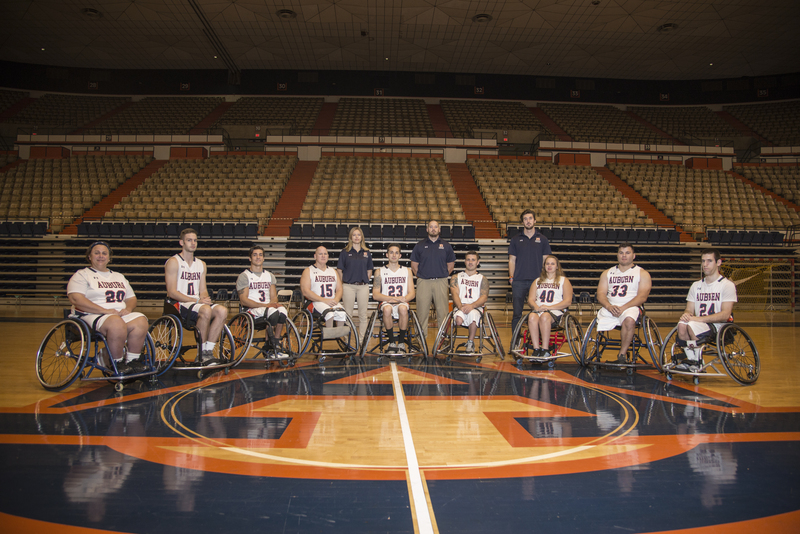 The second annual Auburn Wheelchair Basketball Camp was held on campus, June 24th and 25th. This summer we had 25 campers from 9 different states on campus to learn wheelchair basketball from Auburn University Head Coach, Robb Taylor, the entire Auburn Wheelchair Basketball Team, and back for her second year, two-time Paralympic Gold Medalist - Emily Hoskins. Thank you to all those that participated in camp this year and we hope to see you at camp again next summer! Click her for pictures from camp. War Eagle!!! Auburn Wheelchair Basketball concluded 2016-17 season at the NIWBT in Whitewater, WI. Auburn entered the tournament ranked 8th in the nation. Auburn competed in 5 games over 2 days at the National Tournament and battled hard against some of the top teams in the nation. When the tournament was over Auburn held its ranking finishing the season ranked 8th. In their first season under Head Coach, Robb Taylor, Auburn finished with an overall record of 15-18 and a 7-17 record in the NWBA College Division. For individual game scores and season results, click on this link: 2016-17 Season Results. In the summer of 2016 Auburn University completed our inaugural Wheelchair Basketball Camp on campus. 14 campers came out for this first camp and learned skills from Auburn University Head Coach - Robb Taylor, two-time Paralympic Gold Medalist - Emily Hoskins, and the entire Auburn University Wheelchair Basketball Team. Click here for a link to pictures from our camps. Thank you to everyone that made our first camp a success!!! War Eagle!! !